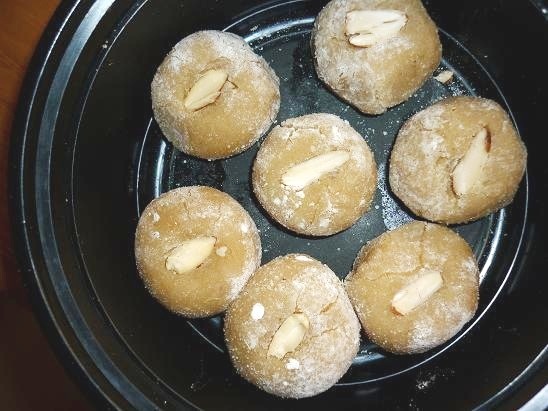 Besan Ladoo is the easiest of any Indian sweet dish. Just follow the measurements given and there you are..!!! Melt Ghee in a heavy bottom pan. Add Gram flour and mix well without lumps over a very low heat. The aroma will tell you whether the flour is cooked in ghee. Now switch off the stove and add sugar .Mix thoroughly with a spatula. When it’s still slightly hot, make small balls or Ladoos .Garnish with nuts. looks perfect,first time here.Following you.please do drop at my space.